Durable, versatile and extremely functional, the Arctic Duck® Bib Overalls are a perfect addition to any work site. With a multitude of pockets and the same great outershell and lining as the Arctic Duck® Jackets, these bibs are strong and functional in any work environment. 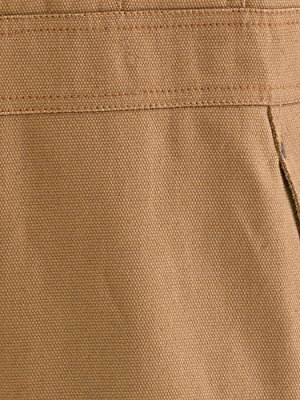 The 100% Cotton Double-Fill Duck outershell has a wind-tight, water-repellent Teflon™ coating. 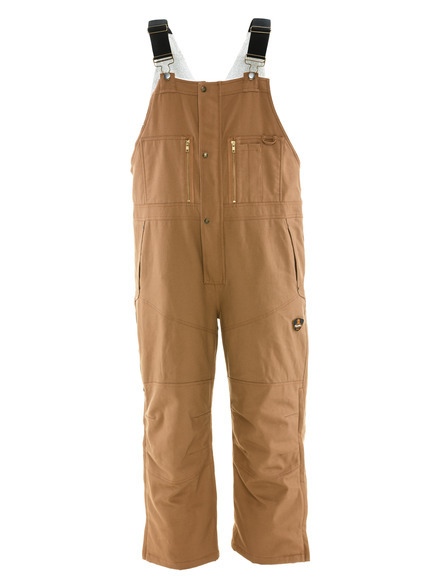 The overalls feature a tradition push-button closure, articulated knees allow increased flexibility, and warm Sherpa lining over the torso with taffeta lining in the legs for easy on/off. Cotton double-fill Duck with wind-tight, water repellent Teflon coating on the outside keeps you warmer and dryer. It is durable and great for indoor and outdoor conditions. 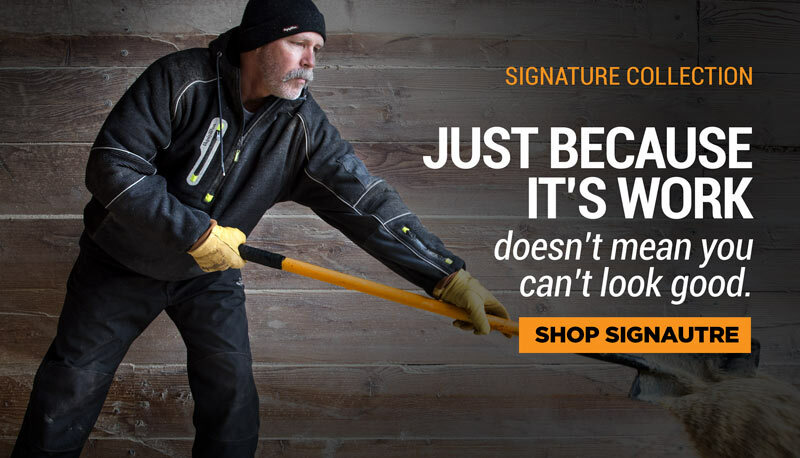 Duck material is abrasion-resistant and durable, while providing a classic style that easily transitions from the work site to personal time. 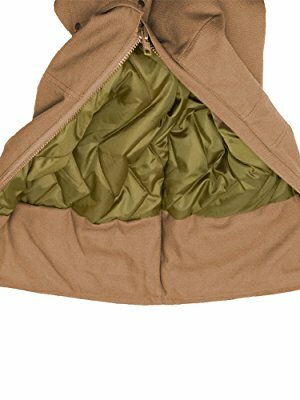 Sherpa lining over the core provides protection from the cold, with a comfort rating down to 10°F, while taffeta lining on the legs means easy on/off. 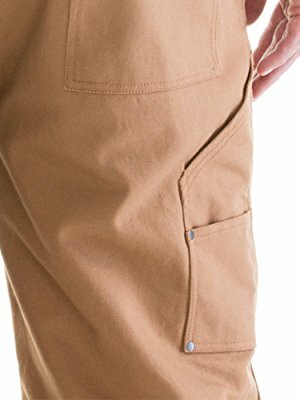 The tool pocket on the right leg provides easy access to tools necessary to get the job done. Convenient outer pockets and left Radio Loop add security by preventing valuables from falling out and keep hands warm. 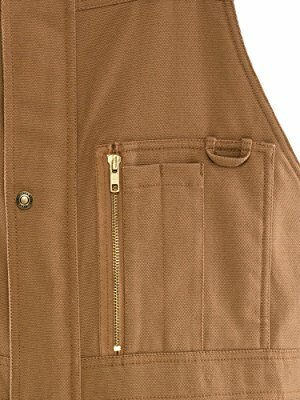 Back pockets are reinforced with brass rivets for additional durability. Hand warmer pockets have security flaps to keep items from falling out. 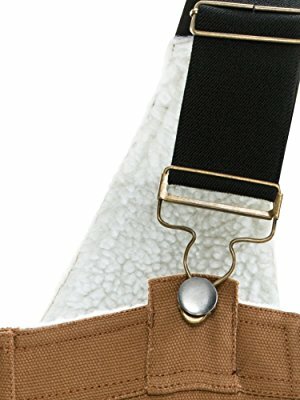 Adjustable suspenders are complete with a traditional, durable, easy push-button snap. The complete coverage plate provides a full protective plate around the leg instead of just the heel area. This increases durability by protecting high-contact areas at all times.